Here's a recipe for Red and Black Absinthe. Start with your favorite base of scented spirit. I use Dupas "Fine Absinthe", remove the Coriander and add Angelica and Valerian Root. 18grams per 1 liter. Pushes the Thujone experience a little more, giving the drink a much more relaxing effect. This creates a very dark purple/black Absinthe. Maintaining the strong Anise overtones but adding a very earthy and savory flavor. Its quite good. This one took quite a bit of experimentation to get right, I was a description of color, aroma and flavor profile as a guide. This will result in a blood red Absinthe. The Anise flavor for be pushed to a secondary flavor, coming in at about the middle. The dominant flavor becomes a sweet and slightly tangy, flowery flavor with a bit of a savory balance to it. Its a very unique flavor and also makes the drink more enjoyable by people that are not bit Anise fans. Put the dry herbs in a large jar. Dampen slightly. Add 800 ml of 85-95 percent ethyl-alcohol (use alcohol suitable for drinking). Wine spirits make a better product than pure grain alcohol. Let it steep for several days - a week is better - shaking occasionally. Then add 600 ml of water and let the whole macerate for another day. Decant off the liquid squeezing as much from the mass of herb as possible. Wet the herbs with some vodka and squeeze again. Recipe should give a little over a liter and a half of green liquor. It must then be distilled. 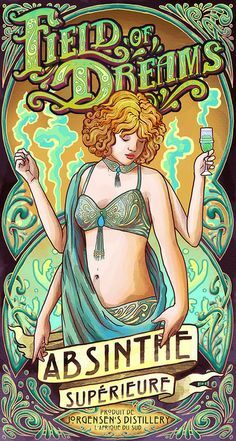 Inferior recipes skip this step, but what they produce is not worthy to be called absinthe. In the distillation, change the receiver when the distillate turns yellow: those ar the faints. You can save the faints and add them to future distillations, but they will taint the flavor if added directly to the product. Just use the good stuff. The next step is to color and finish the liqueur by another round of maceration. Let the herbs macerate for another three or four days. Decant, filter, bottle. You will probably want to carefully add some concentrated sugar syrup to the blend. 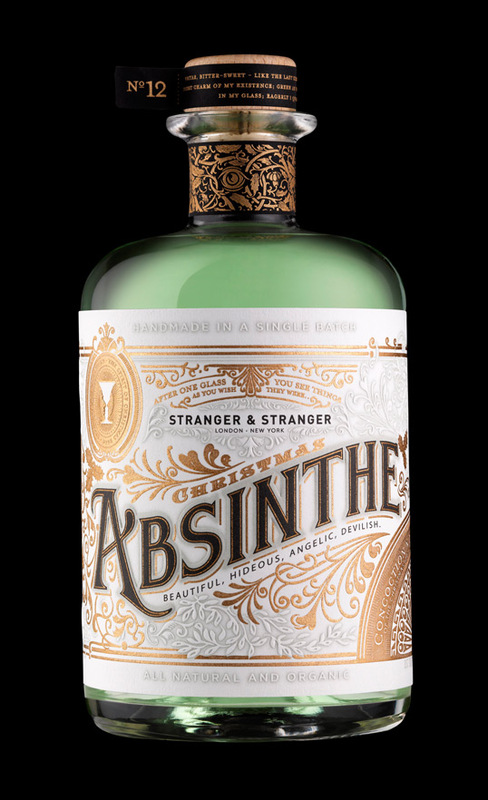 The result will be a Swiss style absinthe of about 135 proof.Recipe makes one liter of absinthe.